Wednesday 12th, no practice – moved to Thursday 13th. Wednesday 26th, no practice – moved to 27th. Carols in the Bury – Sat. 15th Dec. – 6.00pm – ring at 5.30pm? Nine Lessons and Carols – Sun. 23rd. Dec. 6.30pm – ring at 6.00pm? Midnight Mass – Sun. 24th. Dec. – 11.00pm – ring at 10.30pm? NO Morning Service – Sun. 30th. Dec. I first became aware of the bellringing at Crondall when I started using twitter to engage with other ringers and towers. The twitter posts from @Crondallbells were enthusiastic (read eccentric) , and it’s profile picture of a dozen ringers all doing the iconic “mobot” pose, after Sir Mo Farah, certainly caught my attention! When I learned that their regular Monday evening practice had almost 30 people going to it I thought that I’d go along to see for myself and take some photos as proof! I got in touch with Deb Margason-Baker, Crondall Tower Captain, #bellringing social media guru for both wpbells.org and @RingingTeachers ART, and so arranged to pay them a visit. Crondall, if you didn’t know, is just over the northern boundary of the Winchester & Portsmouth guild. Barely ten minutes from the M3 at Fleet. When I got there, around about 8pm, a gaggle of 5 ringers (a family group of learners as I later found out) were making their way out of the tower, having done their early shift of bell handling and rounds at the beginning of practice. During this pause in proceedings I entered the ringing chamber and was instantly greeted by several ringers whose names I never took in (sorry!) and also by Deb. She promptly handed me the treble rope before she warmly introduced me to the sea of curious faces. Not name by name fortunately, that would have taken ages. I was there, I said, to enjoy myself with them, to write a piece for wpbells.org and to take some photos, and to apologies profusely for my ropey bell handling. They accepted all of that without question! Now, I’ve only been ringing 18 months, (an excuse I intend to use for at least a full 5 years), and ringing on 8 whilst with so many others present was a little daunting. I ring on Wonston’s 6 in a typically small chamber. But I was made very at ease very quickly, and was well supported by Deb and lots of smiles and obvious prompts from around the ring as I had a go at plain hunting on 7. The practice continued with much more melody and rhythm once my go was done and I was replaced by someone competent. People quietly milled about, looked up methods on their smartphones, or otherwise made themselves comfortable on the elevated seating platforms that run along two walls. Ringers handed over their ropes allowing others to take over as method succeeded method. I shifted around, composing my photos from various angles, watching the scene change as ringers moved, turn by turn, in and out of the ringing circle. At the end of the session I had another ring. This time on the tenor. Plain Hunt. I felt completely relaxed. I felt I could get, and take, advice from anyone in the room. The evening wrapped up with the bells lowered in rounds and Deb doing her best Tinkerbell impersonation trying to get the tenor to chime, head thrown back and feet off the ground. The Crondall post-practice routine involves a short drive through the village to one of the pubs for chips and a drink. I was grateful that one of the ringers jumped in my car to be my navigator. I’d probably still be circling Crondall without him! My thanks to Deb and all at Crondall. I had a great evening and I hope to return soon. Maybe get to see your simulator running. Looked like a great setup. Start of the summer monthly practices. 1st Thursday of each month – April to October inc.
7.30 – 9.00 and off to the pub after! The tenor at 15.5 cwt is the heaviest bell in the Basingstoke District. All lighthearted fun with everything from calls & round changes, Plain Bob, Grandsire and Stedman – something for everyone! Entrance is via the door at the back of the tower. 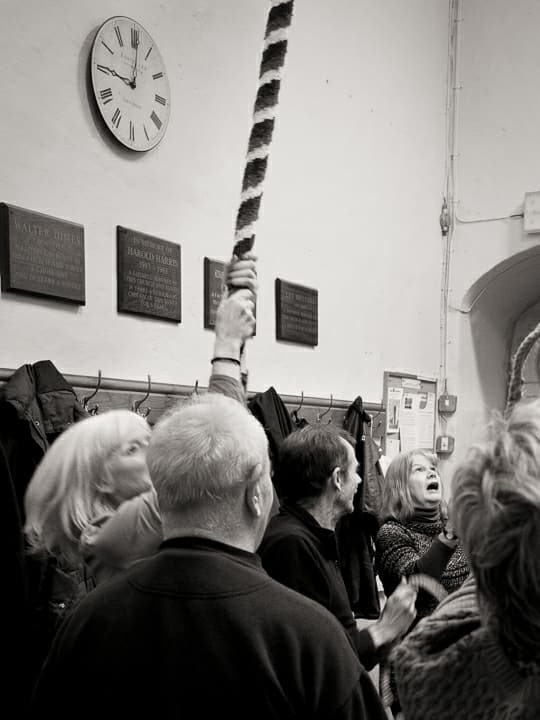 Ringing practice will take place here as usual in Holy Week, 7.30 to 9.00pm. This is until further notice. 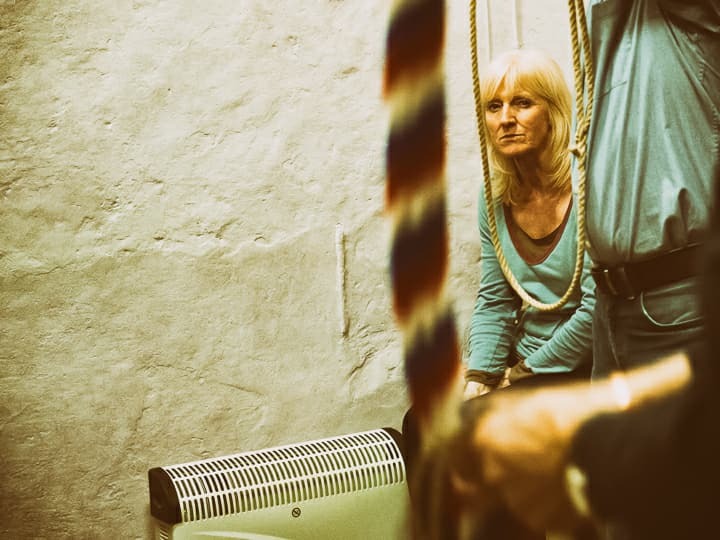 We need several new ringers if bellringing at Overton is to continue. Sherfield on Loddon would definitely like some new recruits and have used the Armistice Centenary as the basis of a recruitment article in the parish (village) magazine. Normal practice 22 and 29 December. Christmas Day 0955 Service Ringing.